Monet's Gardens, Rouen's Cathedral of Notre Dame and the charming harbor town of Honfleur, will inspire you the same way as they inspired the great Impressionists. You'll get to see some of these very places and landmarks that the Impressionist Masters captured on canvas at the Musée d'Orsay. For an inspiration of a different kind, travel the 'Routes des Abbayes,' visiting some of the most magnificent monasteries. 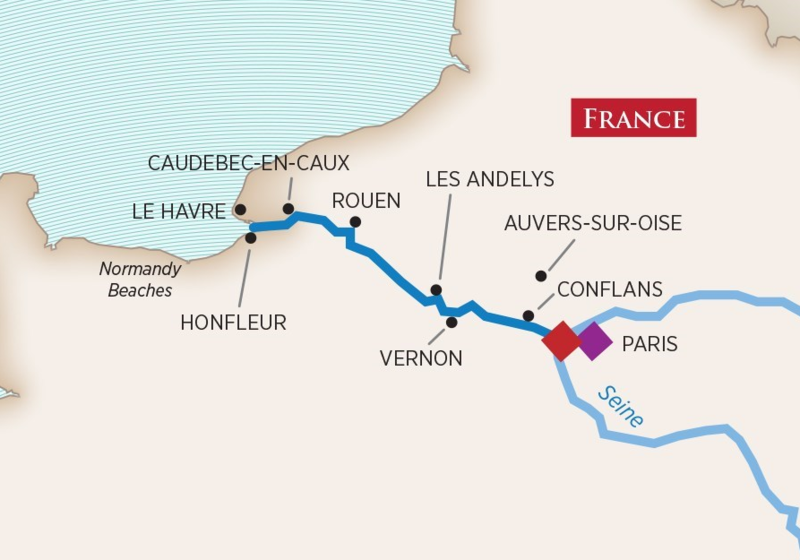 Be moved by the unforgettable beaches of Normandy where Allied forces landed during WWII's D-Day invasion and visit Canada's Juno Beach Centre. Blend a passion for the good life with culture, art, architecture, history and timeless landscapes, and you have Northern France. ** Some dates of this cruise itinerary are Hosted Wine Cruises, ask us for more details! Welcome to Paris, the wondrous 'City of Light', where you'll board your luxurious cruise ship. 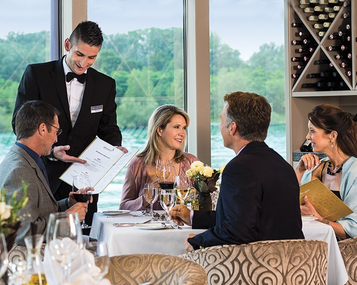 On AmaWaterways cruises, you will enjoy an extensive lineup of included tours. In many cases, you will have a choice of excursions, such as standard tours, bike tours, hikes and Special Interest Tours. There's always a large variety of activities so that you can choose how you want to explore. No matter your preference, your days will be full of discovery and wonder. Terms and Conditions Include: Dates, prices & itineraries are subject to change; Prices in USD. Single Supplement for Cruise 50% of twin price; A+ and Suite 100% of twin price. Single supplement waived on D and E categories. Please check at time of booking as offer is capacity controlled. Single Supplement for Land $320 per person. **Note: Monet’s home and other attractions in Giverny are closed in March and November. Guests may participate in alternative excursions or visit another city on these cruises.